The founders and members of the Huntsville Fencing Club celebrated their 50th anniversary March 21st, 2013 at the Summit at Redstone Arsenal. The event started with a catered meal and followed with speakers from the list of honorary guests and members of the present club. 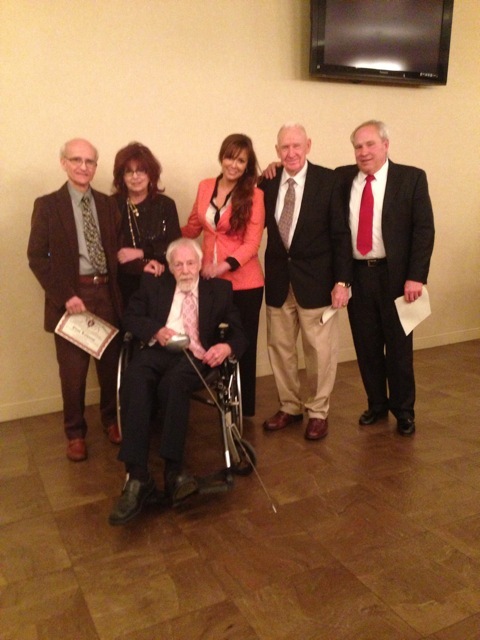 accept awards for service to Huntsville fencing. All agreed, it was wonderful evening and helped to ignite a deeper interest in the historical records and elements of the club. Look for more to come in our scrapbook section devoted to this event. By 1971 fencing in Huntsville had grown beyond the M.A.R.S. club and the Redstone Arsenal. 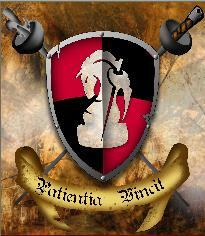 Members established the Huntsville Fencing Club, which will celebrate its fortieth anniversary in 2011. 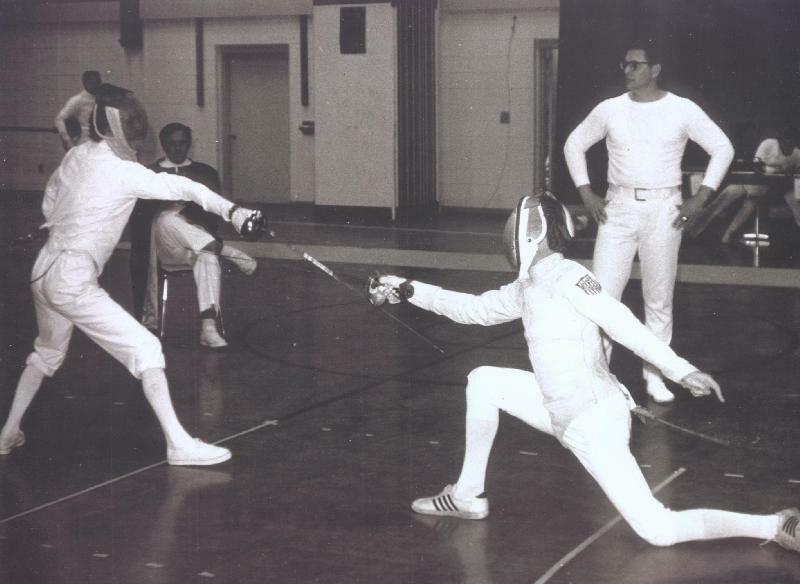 The Huntsville Fencing Club often met at Chaffee Elementary School, and occasionally at the University of Alabama at Huntsville. Club presidents during the 1970s included John A. Jordan (1971), Emil A. Luft (1972), and Gordon Chan (1972). John Jordan, Joe Dabbs, and Elias Katsaros taught fencing classes at Grissom High School, Chaffy Elementary School, and Mountain Gap Middle School. Joe eventually became the fencing instructor at the University of Alabama in Huntsville College of Continuing Education, and taught there through the 1980s. and provided a strong foundation of experience. late 1997 the club moved to the aerobics room at the Huntsville Athletic Club, and has been there ever since. Club instructors during this period included Elias Katsaros (epee), Joe Dabbs (saber), and Charlie Bosco (foil). 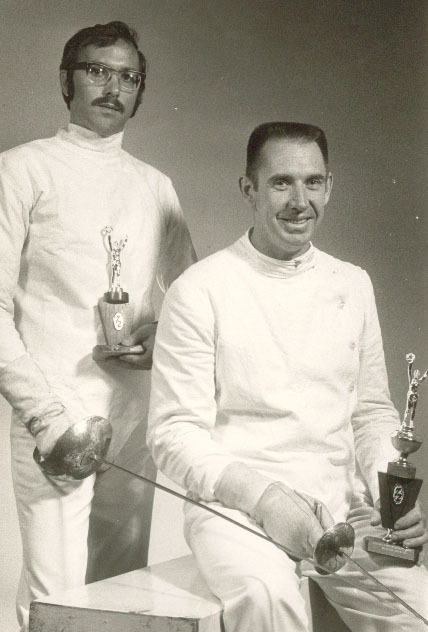 Benerson Little taught beginning foil and gave foil and epee lessons at the UAH Fencing Club in the late 1990s, and Skip Watson taught fencing for much of the decade at the College of Continuing Education at the University of Alabama at Huntsville. Both programs fed into the HFC. A variety of club presidents served during the 1990s, including Inez Wilson, Marianne Bosco, Eric Devlin, Mike Greene, Jerry Hall, Benerson Little, and Brian Parker. By 1999 club membership had decreased significantly. In January 2000 the club was reorganized in order to promote stability and foster the membership necessary to development and sustain fencing skill. Mike Greene, Benerson Little, and Brian Parker became co-directors, and Benerson Little became the club’s instructor. The club’s purpose was redefined as well, in keeping with its origin: to provide a local venue for recreational and competitive fencers of all levels at the lowest reasonable cost and free of unnecessary encumbrances; to promote the sport of Olympic fencing at the recreational and competitive levels; to maintain the traditions of honorable combat with swords; to encourage the study of swordplay, past and present; to provide affordable quality beginning instruction and individual lessons; to minimize the administrative, logistical, and financial requirements associated with fencing; and, especially, to encourage an atmosphere of competitive camaraderie. Much of the present club’s philosophy derives ultimately from a desire to maintain a club devoted foremost to fencers and fencing at all levels, a philosophy borrowed both from the M.A.R.S. 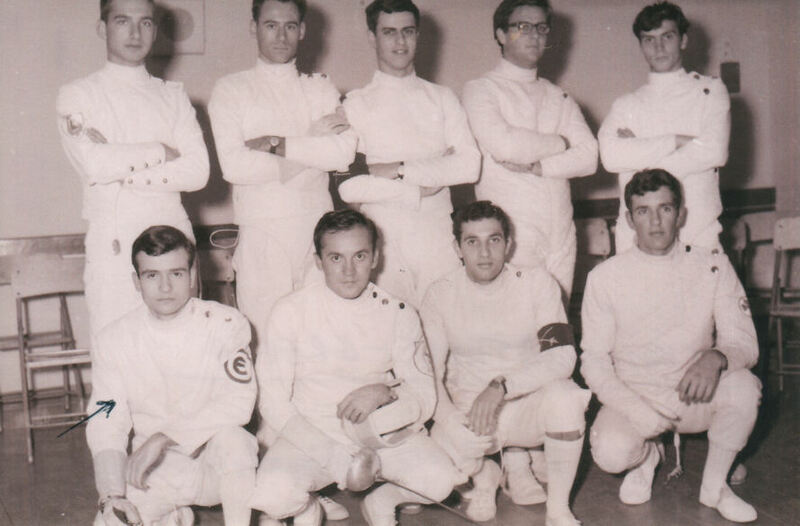 and early HFC, and from the New Orleans Fencing Club and some of its Hungarian forbears. The club remains under this direction today. In addition to the officers noted above, Geoffrey Babb serves as secretary-treasurer and Dave Young as armorer. Joe Dabbs has been designated Fencer Emeritus in honor of his long membership in the Huntsville Fencing Club, of his many years of fencing and instructing in Huntsville, and of his swashbuckling spirit and history in general. The club is fortunate to have a membership that in its entirety is always willing to lend a hand. The club hosts four epee tournaments per year: the Rocket City Open in January-February, the Joe Dabbs Open in March-April, the La Maupin Open in July-August, and the MARS Musketeers in October-November. Today, the HFC has roughly fifty members, ranging in age from twelve to over seventy.  Practices on quiet evenings may be as small as ten or twelve epeeists, while on a busy day twenty-five or more may be present. The club is well-balanced between recreational fencers and active competitors, with rated fencers ranging from unclassified to the A level. Many members compete regularly in local, regional, and North American Cup tournaments, as well as at US Nationals, in youth, open, and veteran events. Our members come from all walks of life and professions—including a NASA rocket scientist or two. 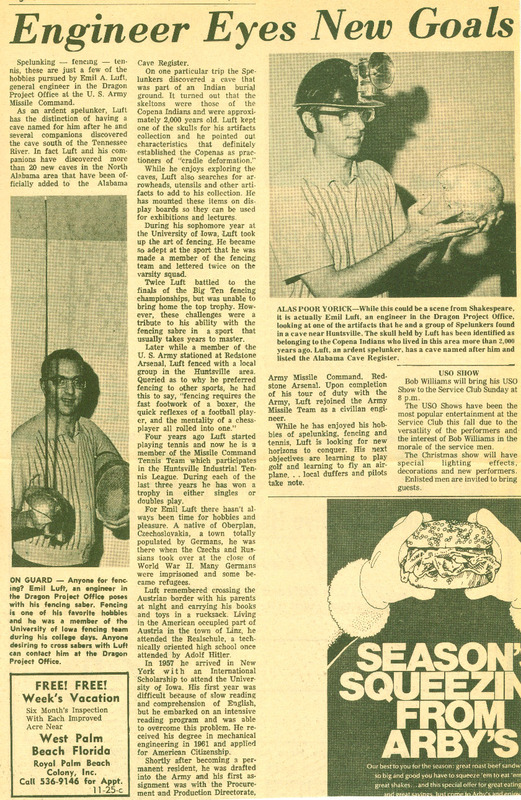 * John Jordan, from his fencing memoir posted on this site. Revised: May 05, 2015 .